Dimensions 0.50 by 9.25 by 12.50 in. Owl and Rabbit are good friends and live in two small houses next to each other. They are perfectly happy . . . until Rabbit's garden gets in the way of Owl's view. So Owl builds his house a little taller. Only that blocks the sun from Rabbit's vegetables. So Rabbit builds his house taller. And soon it's a house-building frenzy and the two now not-so-good friends have the two tallest houses in the world! All it takes is a gust of wind to remind them that maybe living smaller and together is a much better way to remain friends. The creator of Meet Me at the Moon has delivered another wonderful animal fable for today's world. 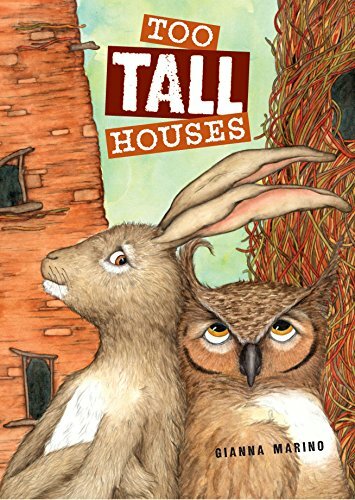 About: Good friends learn a small but important lesson Owl and Rabbit are good friends and live in two small houses next to each other.